At home and abroad, the news is full of horror stories about the textile industry. From the toxicity of raw production, to wasted prime farmland for fibres, to horrible working conditions in places like Bangladesh, it’s a never ending negative news cycle. Locally, textile end-of-life gets a bad rap, with nasty turf wars and corruption in used clothing collections. Frankly, we are tired of it….and we are not alone. The good news is, local consumers are starting to ask good questions, demanding straight answers and are understanding that the human cost associated with lower prices at the till are just not worth it. We are encouraged by the amount of phone calls and emails we receive by everyday people wanting to know more about textile recycling, and how exactly their donations are used to support charities. Our competitors are getting the same questions, and we believe that the industry is eager to offer straight answers and to improve where possible. We are currently working with a consultant to bring other industry leaders on board to develop a mechanism that helps us fully record and share the textile end-of-life process with consumers. Integral participants are eager to ‘walk the walk’ together. It is true that in Ontario, the used clothing collection sector is rife with unfair competition practices, and is plagued with pirate organizations that divert donations away from real registered charities doing good work. We believed that municipal regulations would eradicate this scourge, but we found that across the province, a lack of enforcement made the new bylaws practically redundant. We are now calling on Queen’s Park to step in. Our mandate is to set a new standard for the industry, and 2014 will come with an exciting announcement that will do much to make this industry more transparent and accountable. We are proud to be the ones to lead the way in this exciting new provincial development. 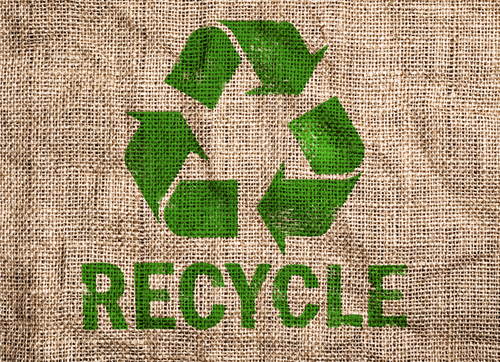 Our goal for 2014 is to help Ontario drastically increase its textile waste diversion rate with an assertive growth strategy. 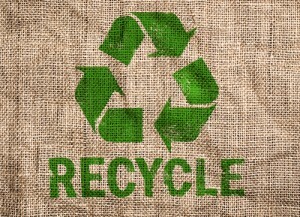 We hope to educate Ontario property managers about the community building block potential in charity textile recycling. We are proud to help manage the textile waste stream of the province, but we can’t do it efficiently without the support of property managers across the province willing to host charity bins. We hope that by elevating operating standards in a way that makes it easy for the public to discern between integral operators and pirates, will make property owners feel more confident in hosting a bin. Hosting a bin is a public service to your community. Our goal in 2014 is to make it easy for you to choose an integral company to support.